1. Wash and soak both the raw and parboiled rice together for 3 hrs. 2. Soak the sago and urad dal together for 5 hrs. 3. Grind them separately and mix them together with salt. Keep it aside for fermentation. (it will take 5-7 hrs). 4. After fermentation, mix the batter well and make it thicker than idly batter. Because we will be adding jaggery syrup later. 5. Cut the dry fruits into very small pieces. 6. Heat the ghee in a pan and fry the nuts till they become golden color. Keep it aside. 7. Heat the jaggery in a pan with ¼ cup of water. When the jaggery dissolves completely, switch off the stove. 9. Pour this syrup into the flour mixture. 10. 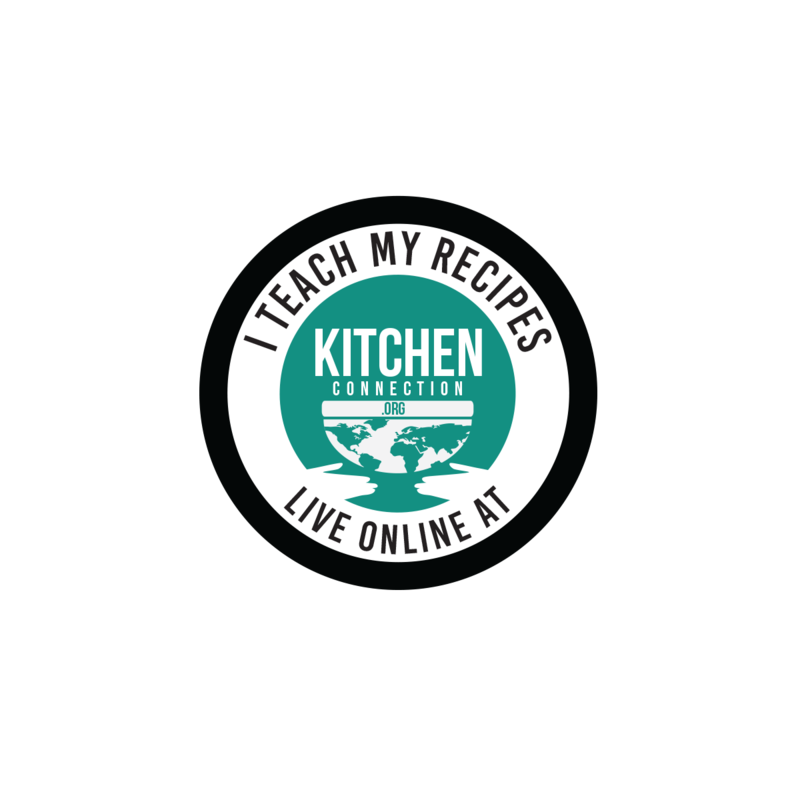 For mixing this jaggery syrup, take enough batter for one serving . Keep it aside for 10 mins. 11. Before making paniyaram, add cardamom powder, fried dry fruits and nuts. Mix them well. 12. 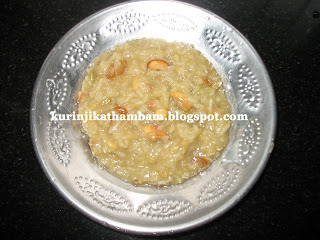 Heat the kuzhi / kuli paniyaram pan, pour few drops of oil and pour this batter only upto ½ of the kuzhi [depression]. Cook it in medium flame. 13. After few mins, turn them to the other side and cook well until it becomes golden color on both sides. 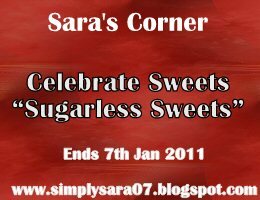 I am sending this and the following recipes to Celebrate Sweets - Sugarless hosted by Sara and started ny Nivedita. whoa, they really look like a fantastic treat !!! Very lovely and crunchy paniyaram. Ahaa, kurinji,all my fav nuts and raisins are there...what more cud I ask for ?? Loving it..
new recipe to me! 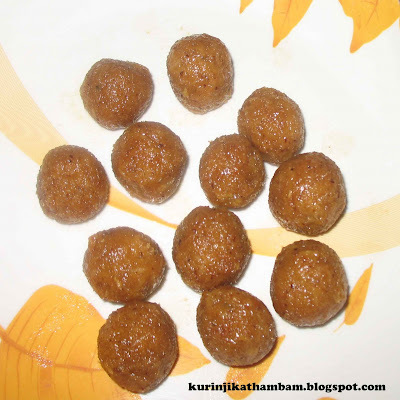 healthy paniyarams! That really looks very inviting..
Thats a healthy and delicious paniyarams..
Tasty paniyaram! Love the addition of fruit and nut in them..
lovely paniyarams...with a sweet twist...you have been tagged...check out my blog.. This looks like a great treat!